The action continues to excite and delight in the Euroleague Top 16 with Round 3 concluding in excellent style on Friday evening. There was just the one game in Group E on Friday evening and it was a local affair in Istanbul as a derby grabbed the focus. The hosts managed to do enough to hold off the challenge from their city rivals and in the end, it was a comfortable win. The visitors had their moments though and were up by 5 in the opening quarter, but Anadolu managed to grab control by half-time. Jayson Granger played a key role in turning the tide in the second quarter and he managed to grab 15 points and 8 assists for the winners who move on to a 2-1 record while Darussafaka drop to a 0-3 record. Derrick Brown provided 13 points and 8 rebounds while Cedi Osman offered 12 points and 6 rebounds. Alex Tyus grabbed 9 points and 9 rebounds while Thomas Huertel offered up 10 assists in the win. Scottie Wilbekin was the key player for Dogus with 20 points and Ender Arslan grabbed 14 points, with Metin Turen offering up 10 points in the loss. There were three games in Group F on Fridya and there was plenty of excitement including huge away win for one of the teams. This win sees the Moscow side edging ahead of Laboral with the hosts moving on to a 2-1 record while the Spanish side fall to a 1-2 run. Both teams had their moments in the opening half and it was a level game, at 39-39, at half-time. The break allowed Khimki the chance to improve their defensive work and a 13-0 run, led by Alexey Shved, was instrumental in opening the game up. Laboral rebounded and got to within 7 points but Shved and Tyrese Rice ensured that the hosts stayed in front. Shved grabbed 24 points for the winners, James Augustine offered up 22 points and 8 rebounds while Rise offered up 13 assists. No player grabbed double figures for Laboral but Blazic, Shengelia, Causeur and Hanga all managed to grab 9 points each for the losing side. The reigning Eurleague champions move to a 2-1 record in Group F while Kaunas drop to a 0-3 record which leaves new coach Sarunas Jasikevicius with a big task on his hands. Felipe Reyes may have clocked up 243 games in the Euroleague but Friday was a special night, with the player grabbing a career high of 24 points. Gustavo Ayon was another key player for Madrid with 16 points, 15 rebounds and 3 blocks. K.C. 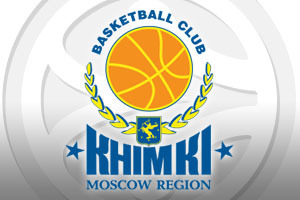 Rivers managed to provide 14 points for the winners and Jonas Maciulis offered 12 points for the hosts. Kaunas were boosted by 13 points from Renaldas Seibutis while Siim-Sander Vene, Edgaras Ulanovas, Olivier Hanlan and Brock Motum all notched 10 points. The hosts were 26-18 ahead after just 10 minutes and there was no real point when a home win looked in doubt in Madrid on Friday night. The German team must have decided that winning one game after 21 losses was such a nice feeling that they would repeat the achievement. This away win sees both teams in the group with a 2-1 record and these teams are tied at the top of Group F. Bamberg managed to open up a 31-55 lead in the second quarter but a late revival from the hosts ensured that it was a close finish to a rather exciting game. 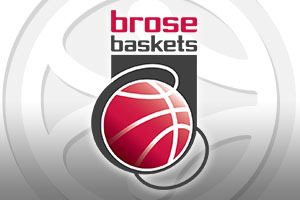 Darius Miller grabbed 23 points while Janis Strelnieks provided 15 points for the winners. Leon Radosevic provided 14 points and Nicolo Melli had a strong all-round game with 7 points, 13 rebounds and 6 assists for the away team. The hosts saw five players break into double-digits but it wasn’t enough for the win.DJ Strawberry grabbed 15 points, Vassilis Spanoulis provided 11 points while Hackett, Printezis and Papapetrou all offered 10 points in the loss.